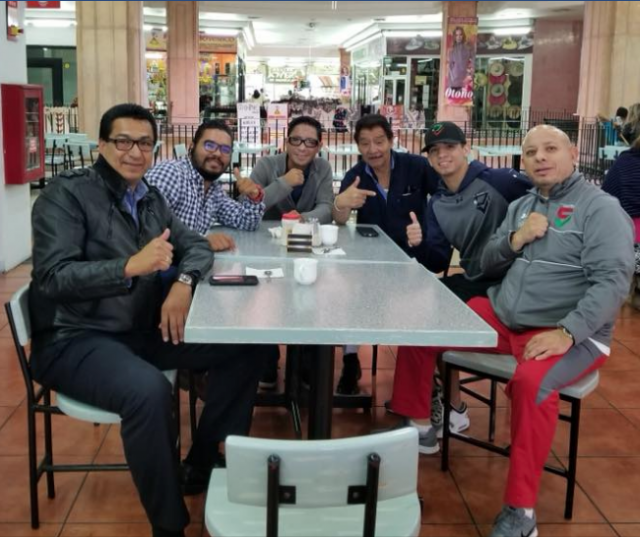 Team from Sugar Promotions meets with the Aguascalientes, Mexico Boxing Commission to confirm the date of their next boxing show. 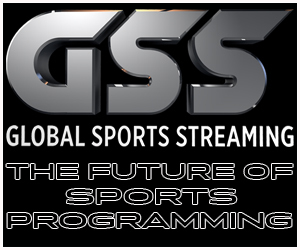 Wrap your brain around this: The unpaid combatants in Amateur MMA, Amateur Muay Thai, and Amateur Boxing are now the true Gladiators of our day, whereas more and more of the professionals fighters, to include the promoters of these same disciplines, are in it solely for the money and have less concern about putting on a thrilling performance. That’s one of the reasons why we now hear more and more boos after an official’s erroneous scorecard is announced, or a referee fails to do his duty in the ring. Or even worse when a Boxing Commission fails to stop certain transgressions and tends to look the other way. 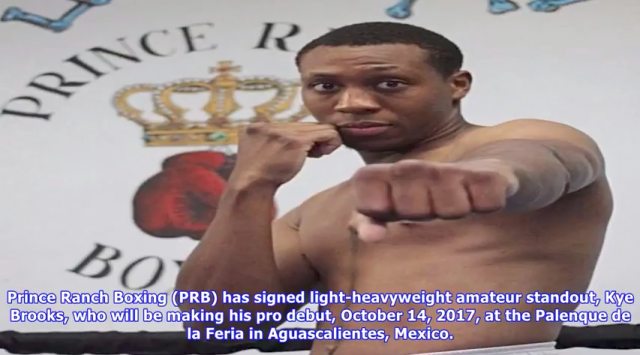 November 2, 2017: Hot off the Pro Boxing sports wire came news out of Las Vegas, Nevada that Sugar Promotions had assembled this group of six undefeated boxers that will be fighting under the Prince Ranch Boxing Management banner and will be making their way to the ring at the Palenque de la Feria in Aguascalientes, Aguascalientes, Mexico on December 2, 2017. Damien “Sugar” Vazquez shows off one of his many Championship belts. 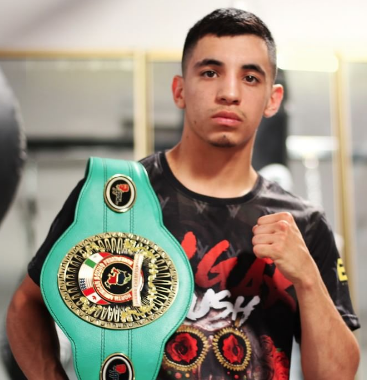 Vazquez’s 12-0 record comes after defeating a less than stellar parade of journeymen, the most recent, a 5’2” tall, 40-year-old and as a result Box Rec has this 20-year-old super flyweight ranked #11 in the US. It’s also important to note that the Prince Ranch Boxing Management group is promoted by Damien Vazquez’s “Sugar Promotions” in association with Malibu Films and SOBA Recovery Centers. Here’s some more elaboration on Vazquez’s career triumphs: Vazquez, who turned pro at the age of 16 with a 1st round stoppage of Miguel Meneses (0-9), captured the NABF Junior Flyweight title a year later by winning an eight round unanimous decision victory over Edwin Reyes. Reyes’ record at the time was 4-1-2 against boxers with a combined record of 6 wins and 43 losses and not one of Reyes’ opponents had a winning record. 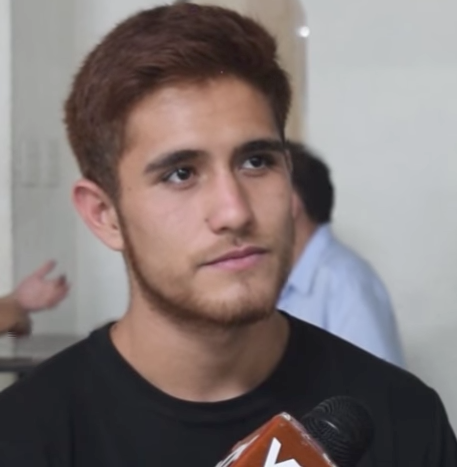 Worthy of a mention is the fact that Damien Vazquez is the younger half-brother of one of the greatest champions of our era, Israel “Magnifico” Vazquez (44-5, 32 KOs) from Huntington Park, Calif. by way of Mexico City who like Damien Vazquez turned Pro at an early age, 17. Israel Vazquez ended up knocking out 67% of his opponents and won both the WBC & IBF World Super Bantamweight titles. “I’m very excited to be signing with Marshall Kauffman and Kings Promotions,” said young Damien Vazquez. “He’s been doing a great job of promoting big fights, and he is one of the best promoters in boxing. I’m ready to step back into the ring and show everybody there’s a new young gun in town, and I’m determined to be the Sheriff.” Sounds like an audition for a remake of the “Gunfight at the OK Corral”. “Sugar is very excited to be back in the ring and we are excited to be with Kings Promotions,” said Vasquez’s trainer and father, Oscar Valdez. “Marshall Kauffman is a boxing man who’s been in the business for years. I’m trusting him to guide my son to become a champion and I know we are going to do it. We are going to Shock the World. We’re destined for greatness. Unstoppable.” Is that what they call meaningless hyperbole or what? If not, attendees to this next show should be advised to wear shoes with rubber soles. 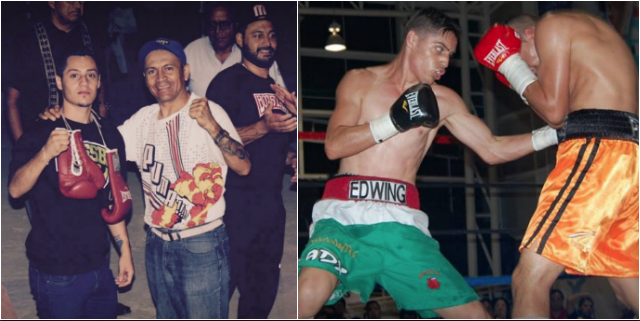 #2) Edwing “Wiwi” Davila (16-0, 9 KOs) is a 23-year-old super-featherweight, from Aguascalientes who Box Rec has currently ranked #39 in Mexico. Makes you wonder what he would be ranked if he hadn’t fought the 0-10 Noe Sanchez twice? Against Sanchez, he has not one, but two second-round KOs. Edwing “Wiwi” Davila (far left) has connections in San Diego, supporters who are hoping that he succeeds, right Mr. Jose Hortado? #3) Isaac “Canelito” Avelar (13-0, 8 KOs), is a 19-year-old from the host city Aguascalientes, Aguascalientes, Mexico. 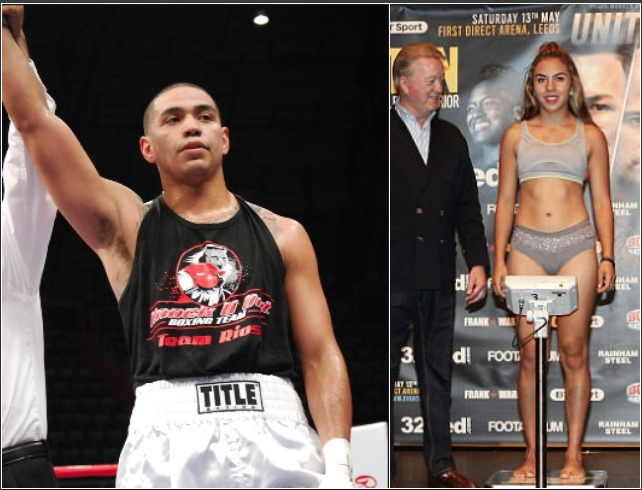 After checking to see who he has fought and how he did against these opponents, you soon realize he is a legitimate hot prospect and that’s why Box Rec has Avelar ranked their #32 super-featherweight in Mexico. #4) The 25-year-old, 5’5” tall, featherweight “Vicious” Victor Pasillas is a southpaw, who was born and bred in the mean streets of East LA. The knock on Mr. Pasillas? He’s been inactive for over two years. The Internet has a great many articles/videos about this former hot prospect who as a USA Amateur Boxer amassed a record of 272 wins with only 6 losses. He won 32 belts, 25 National Championships, and 5 Amateur World Titles over a 13-year period. His Pro record is (11-0, 4 KOs) against legitimate opponents. Early on he was managed by the well-respected Cameron Dunkin, then moved from Top Rank to Victory Promotions and now he’s with Sugar Promotions LLC. Not only has his hairstyle changed, he’s now married, has one child and a second one on the way. The fact that he’s had so many different trainers is not a good sign. 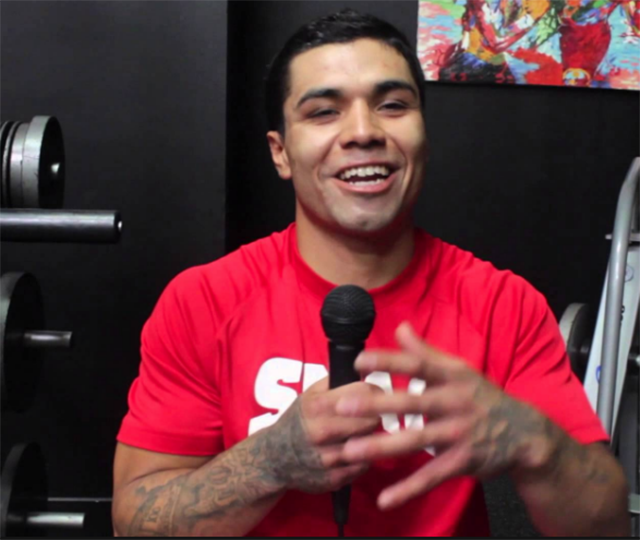 Especially when they include some of the best in the sport to include Robert Garcia from the Robert Garcia Boxing Academy, Oxnard, Calif. and Brian Schwartz from Undisputed Boxing in San Carlos, Calif. Wellwishers believe if he can keep his weight down and fight as a Super Bantamweight, there is a strong chance he can resurrect his career. There are a ton of people who hope Victor Pasillas has turned his life around. #5) Blair “The Flair” Cobbs from Las Vegas, Nevada is a 27-year-old southpaw with a record of (7-0, 5 KOs) against questionable opponents with a combined record of 10 wins and 50 losses. This super-lightweight now trains at the Salas Boxing Academy in Las Vegas, Nevada, with the well respected Ismael Salas and the former WBA Super Bantamweight World Champion Clarence “Bones” Adams. 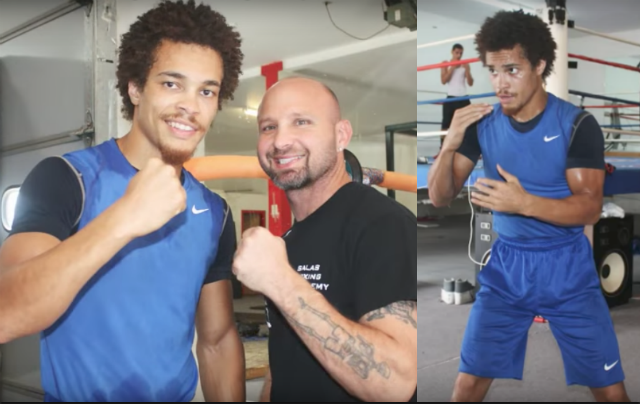 Southpaw Blair Cobbs (left) poses for a photo with one of his coaches Clarence “Bones” Adams, the former WBA Super Bantamweight World Champ. #6) Kye Umar Brooks (1-0, 1 KO) is a 22-year-old light-heavyweight. In his recent debut, he fought Joel Ivan Najera Salas, a natural welterweight who turned 34-years of age eight days after fighting Brooks. After that KO loss, Salas’ record went to 0-10 with 7 of those losses coming by way of TKO or KO. This time around, the matchmaker should match him up with a warm body, instead of another cold stiff. (left to right) Filling out this eight-bout fight card, the promoter has added 28-year-old super welterweight Daniel Baiz (10-1, 5 KOs) from San Antonio, Texas plus a 19-year-old female flyweight Maryan Salazar (6-2) from Aguascalientes. Sugar Promotions LLC will be promoting this 8-bout fight card titled “New Blood”, with Issac “Canelito” Avelar in the 10-round Main Event battling a boxer to be named later for the WBC FECOMBOX Featherweight title. Damien “Sugar” Vazquez will be fighting in the 8-round co-main event. Hopefully, the matchmaker has already lined up the eight opponents, because that would give them the needed time to prepare. 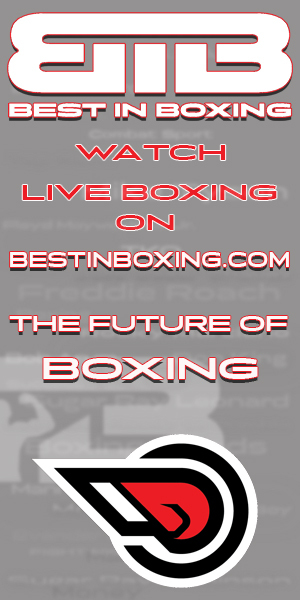 This website will keep you posted as far as the opponents for this show. Perhaps this article will put pressure on the promoter to level the playing field. Wouldn’t that be something!